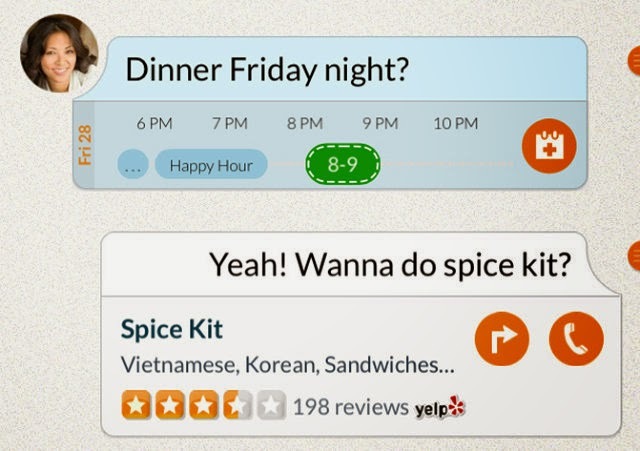 Google buys Emu, an app for instant messaging that integrates its own personal assistant. It was created by a former member of the team that designed the Apple voice assistant Siri. The transaction was announced by employees of Emu in a blog post published, but its details have not been revealed. Emu was founded in 2012 by Gummi Hafsteinsson, former vice president of products at Apple Siri who was also a senior product manager at Google, and Dave Feldman, a former member of AOL, Yahoo and TechCrunch. The latter was involved in the creation of the app IM Yahoo Messenger for Windows and iOS. The Emu team, said that its messaging app would be removed from the AppStore from August 25. Emu includes a calendar, a space for sharing documents and alarms. The application also features an automatic response (magic reply) that allows drivers to tell their partners that they are not available at this time. "Emu includes the content and context of the messages, and magically adds relevant information to help you get things done," said the start-up in his post. "You wonder if you are free for lunch on Friday? Emu set your agenda directly into the conversation. You are late to pick up your daughter? Needless to indicate where you are. Our app shares your position with one click and updates as you get closer. "Available on Android devices since the end of last year, the app works on iOS since April.